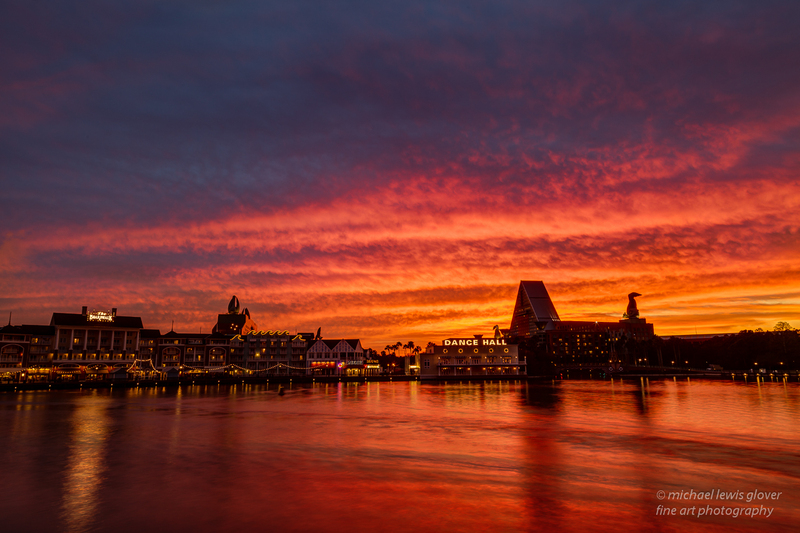 Today’s post is a fun image that was taken the same day as my post from The Boardwalk. 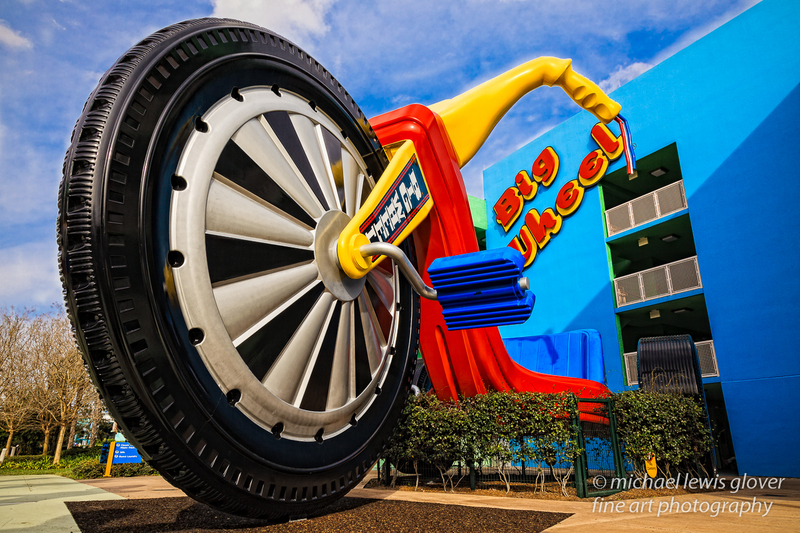 While exploring Disney’s Pop Century Resort, which is themed around different era’s of the 50’s through the 90’s, I came around a corner and spotted this ginormous Big Wheel! Having fond memories of riding one of these when I was a kid, I was immediately transported back in time to my childhood. I used to love riding these things. The colorful plastic toy could keep a little one busy for hours. I setup my tripod low to the ground to make sure the largeness of this awesome set of wheels was emphasized. I had to move around quite a bit until I found the composition I was looking for. I was drawn to the bright colors of this scene that just seemed to pop out. Pictures can’t really do justice to the size of this but it is just about as tall as the four-story building behind it. If you ever make a trip to Disney, be sure and stop by this resort. It is definitely worth a visit! On a recent trip to Disney, I spent the day walking around taking in the magic. I explored some of the resorts and slowly made my way to the boardwalk area. After walking around there for a little bit, I sat down to a quick meal and a little relaxation. It was getting close to sunset time so I started looking for something interesting to shoot. I noticed a sliver of sunlight peeking through the clouds. I found a spot that I liked and noticed the way the light was hitting the buildings. Since the lights were also turned on, it made for a nicely lit scene. For the last half of the day the sky had pretty much been gray so I wasn’t expecting spectacular sunset colors. I moved around a little bit looking for different compositions and just enjoyed the way everything was looking. All of a sudden the clouds started breaking up and the most beautiful display of color and light that I had ever witnessed was appearing before my eyes. I started getting really excited! I had a very surreal feeling come over me. It was like standing in a dream. I was mesmerized by what I was seeing. I kid you not when I say the light was changing every 30 seconds. This was one of the most awesome things I have ever seen. And just when you think it’s over it changes again. I took a lot of shots this day, but this one really stood out to me. I will never forget Sunday January 13th, 2013. No not the African plains but Florida! 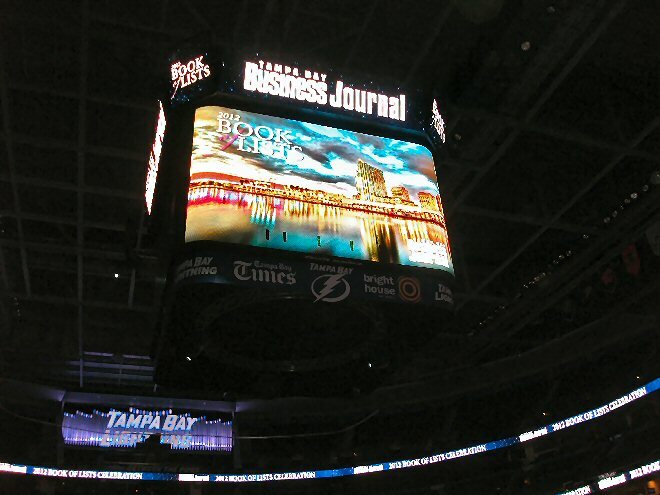 Busch Gardens theme park in Tampa to be exact. Photo opportunities abound when you pay a visit here. There is a variety of animals to see and learn about. This image features three of their stars: a Reticulated Giraffe and two Marabou Storks. This was a perfect day for taking pictures as it rained off and on all day. The clouds would come and go opening up briefly to let the sunlight in. I was walking around taking pictures of the birds when I spotted this lone giraffe. He kept getting closer to me and I had the hopes of getting a close-up shot. He stopped at a comfortable distance from me and stayed where he was. 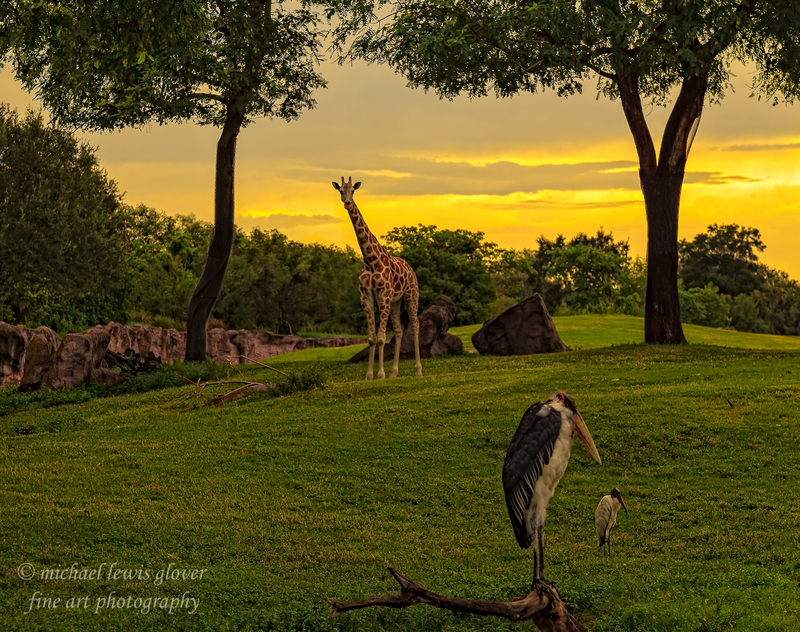 With him keeping a close watch on me, I setup the shot to include the two storks with the giraffe in the background. I got four shots before he turned and ran away. The color in the sky and the giraffe staring right at me was my favorite shot. 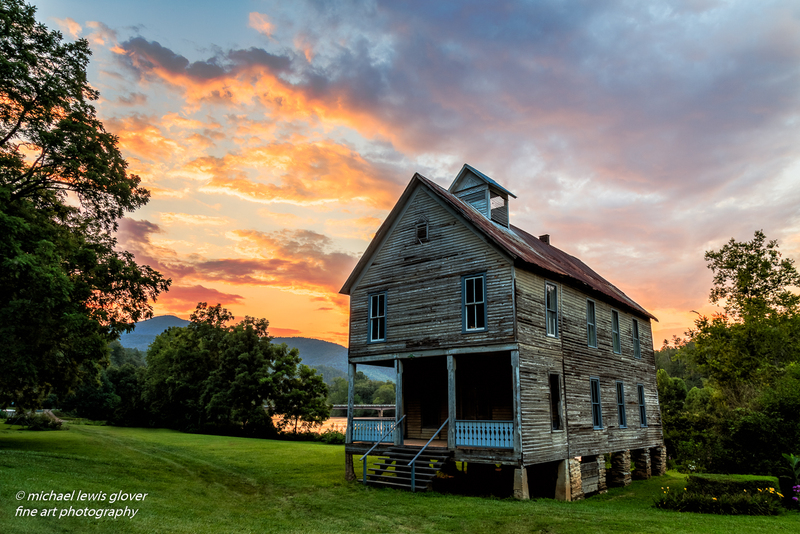 To enjoy a larger view, please click on the image below! …because today’s post features a lot of it! 🙂 We find ourselves at the 2012 Epcot® International Flower & Garden Festival where flowers abound. There are so many of them to take in that it’s hard to really see it all in one day and truly appreciate the effort behind it. Breathtaking aromas and eye-catching colors await your visit. The displays they setup are absolutely amazing. A lot of work goes into putting on this festival and it’s definitely something to see. Over 100 topiaries were created with more than 75 of them representing Disney characters. The festival runs a little over 2 months with May 20th being the last day. For more info about the festival you can go here – Epcot International Flower & Garden Festival. Today’s images are just a small sample of what you will find there. My eyes are drawn to vibrant colors so these two scenes stopped me in my tracks! Up first we have an image I like to call “Roll out the Flower Carpet.” The orange and purple flowers leading to the doors welcome the viewer as if to say come on in. Up next we find “Radio Flower” – a little red wagon with color spilling all over. I think this was positively one of the coolest displays I have seen at the festival. So much attention to detail makes this scene worthy of a picture. Well that about wraps up today’s post. I really hope you enjoyed reading about the festival and viewing the pictures as much as liked sharing it with you. Please feel free to leave any comments you might have as I always appreciate hearing from my visitors! 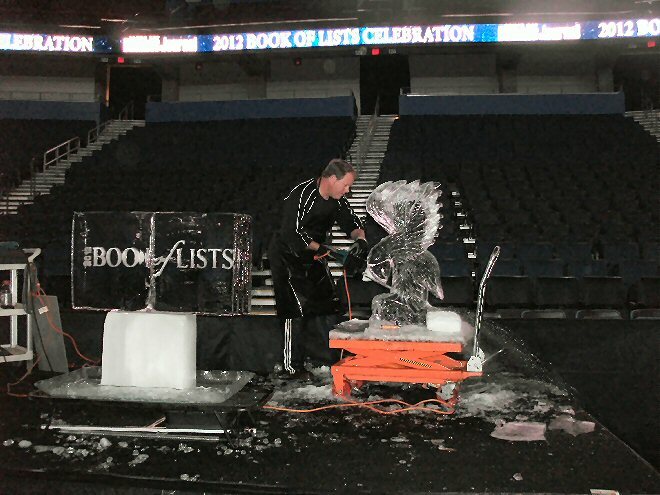 The 2012 Book of Lists Party – My Favorite Night EVER! I just had the opportunity to be involved in what was probably the most exciting evening of my life. 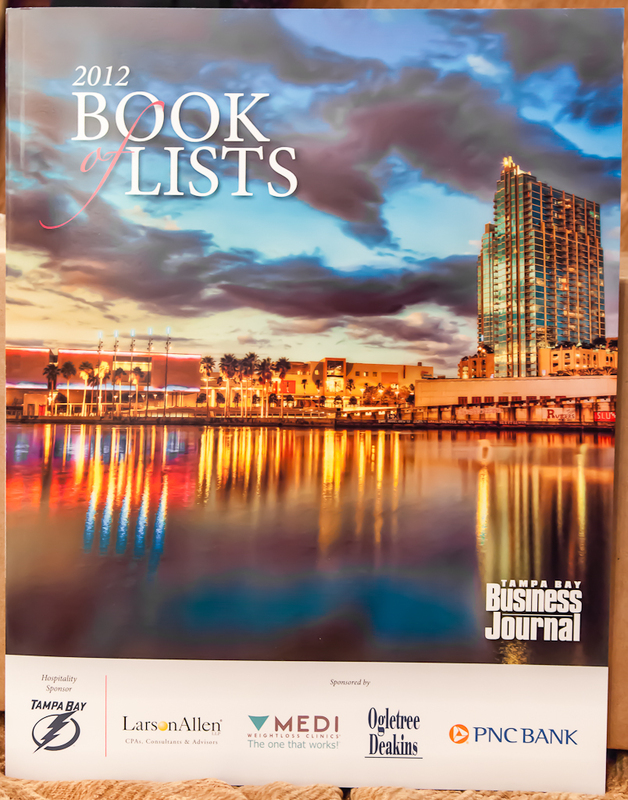 I had an invitation to an exclusive party at the Tampa Bay Times Forum to celebrate with the people who made it into the 2012 Book of Lists – a book published annually by the Tampa Bay Business Journal. Months back I had entered one of my photographs in the books yearly search for artists. 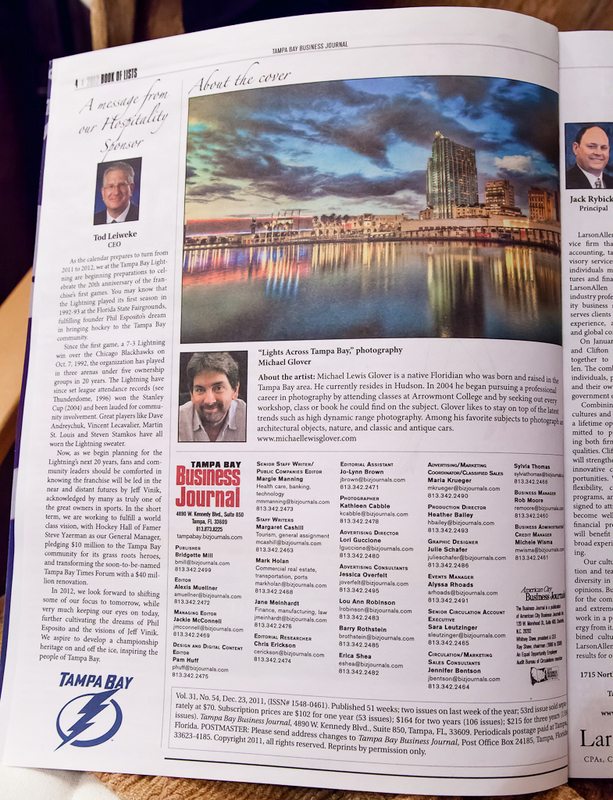 They wanted pictures representing the Tampa Bay area. 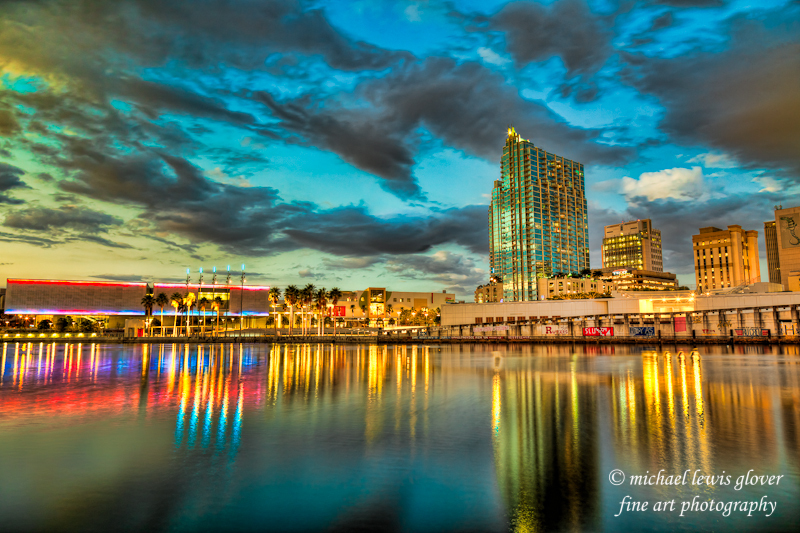 I entered a picture that I had taken of beautiful downtown Tampa looking across the waterway. I was so excited in October when I found out I was one of the 13 artists chosen to be in the book! As time got closer to the publish date I could not WAIT to see it. The book was scheduled to come out on December 23rd. On December 22nd I received a call from the production director and she said she wanted to congratulate me personally because I made this years cover! I had no idea – it was a complete and awesome surprise! The party was incredible. 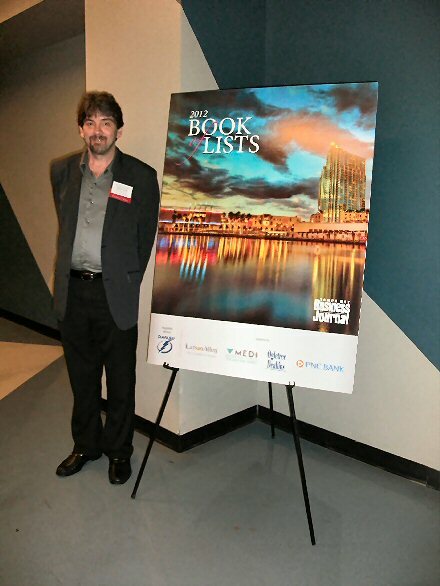 Close to 800 people comprised of the executives who made it in the book of lists and their guest attended the party. 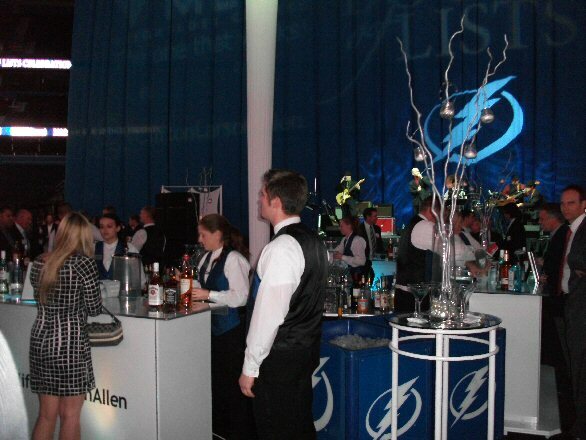 There was tons of delicious food and drinks at every turn. 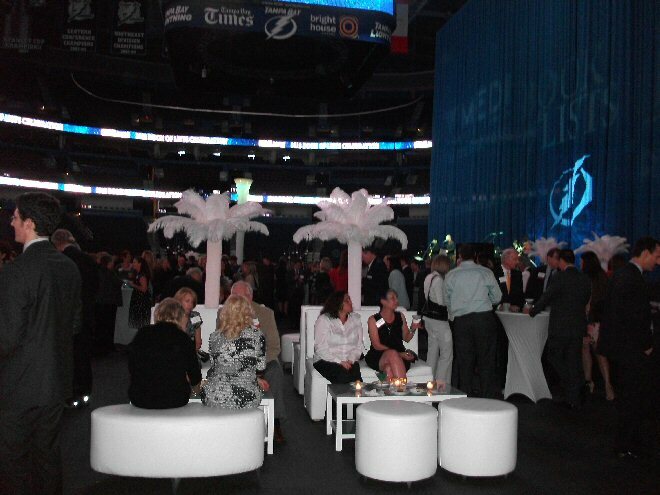 The entertainment included an aerial artist, a band called the Vodkanauts – who were great! – a magician, and an ice carver just to to name a few. I got to walk the red carpet and pictures were taken of all the guests with fresh fake snow! Haha! 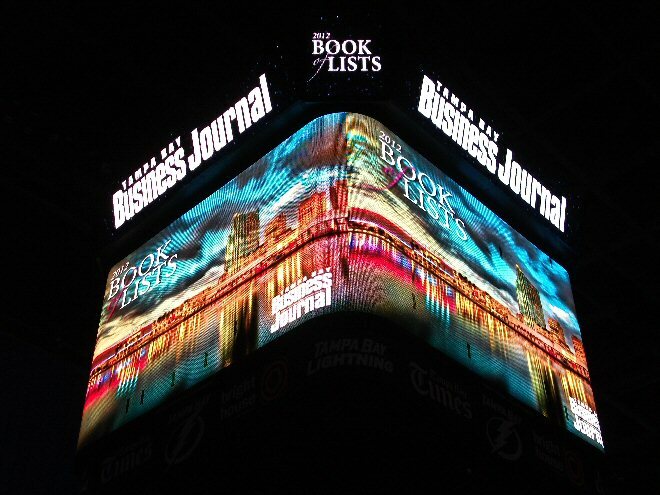 The book cover was displayed everywhere and the highlight for me was seeing it displayed on the Jumbo Tron right in the middle of the forum through the entire night. It was truly a magical evening I will never forget. 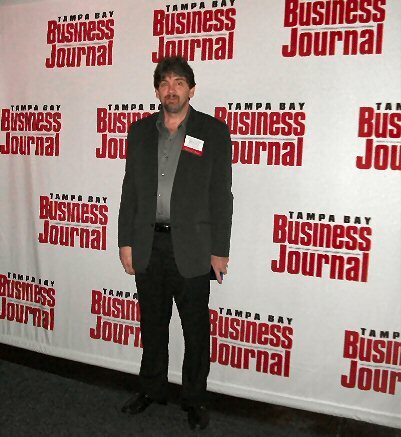 I am honored that I got to be part of such a wonderful night. This is definitely something to go down in my memory book.